Elegant and practical, the Salta Balcony Set includes two armchairs and one table that fit into smaller spaces perfectly. The durable, all weather-resistant resin makes the set resistant to rust, rot, and decay, while boasting an attractive wicker texture. Made with extra wide seats and armrests as well as plush cushions, the set provides the ultimate outdoor lounging solution. Wide seats and armrests along with deep fill cushions for ultimate comfort. Made with the innovative FLOW technology for a sleek look and easy assembly. Conveniently maintenance-free thanks to the weather-resistant resin that ensures the set won’t rust, rot, peel, fade, or decay. 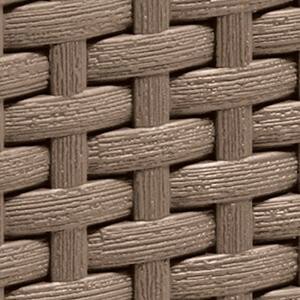 Features an elegant wicker texture that adds a stylish accent to any outdoor living space.